It is over for businesses, individuals, even for states and the U.S. Welcome to the hyper-competitive economy caused by a hyper-connected, flat world, where everyday you have to think about how you are adding value. 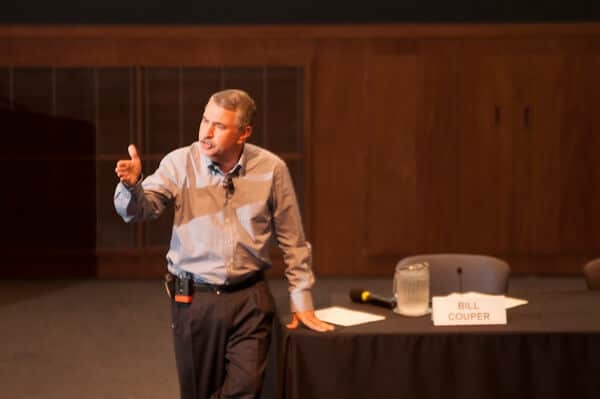 That was how best selling author and New York Times columnist Thomas Friedman kicked off the Maryland Competitiveness Coalition’s Economic Summit on Sept. 6 at the JHU Applied Physics Lab. The Summit involved almost 200 business leaders and legislators representing more than 60 organizations who gathered to address Maryland’s competitiveness under the leadership of Kathy Snyder and the Maryland Chamber of Commerce. MACPA / BLI was there as part of the coalition and as facilitators who helped design and run the meeting with ThinkTank collaboration technology. You can get a copy of the report here. Think like an immigrant: The immigrants of today act like “paranoid optimists,” working to understand the biggest trends, then working harder than everyone else to pursue them. Think like an artisan: Is your work good enough that you would sign it like an artisan? Always be in beta: He channels Reid Hoffman, founder of LinkedIn, who says just like entrepreneurs always improve their products, we need to be always improving ourselves. PQ + CQ > IQ: Passion, persistence + curiosity are greater than intelligence. Think like an entrepreneur: He used a story about a Perkins Pancake House waitress who added a little extra spoon of fruit to “wow” her customers. What little things under your control can you do to go the extra mile and make your customer love you? You can watch the entire keynote here. This keynote set the context for the day as we worked to create a shared vision for Maryland’s future to become a global leader in private sector job creation and business investment through innovation, technology and entrepreneurship. It was the culmination of a year-long effort to make Maryland more competitive. Watch our interview with Kathy Snyder to see what this historic effort is all about. I believe we have started a new movement in Maryland to create positive change in our great state. Maryland is a great place to live, work and do business – and we can do “more better.” The coalition is already deliberating the results of the summit and will develop strategic action steps to help retain and grow more jobs for all Marylanders. Facing statewide elections in 2014, this is indeed the time to make a significant impact. This coalition is making a difference – and our organization is committed to ensuring its success. Our facilitation team created this Prezi about Friedman’s keynote and a Storify recap of the day. The ThinkTank report from the meeting outlining the consensus around a vision for Maryland and the group’s bold steps is here. Tom Friedman’s books (both on my reading list) are The World is Flat and That Used to be US: How America Fell Behind in the World it Invented and How We Can Come Back.